Key Note Recognition the next step in building great ears! Key Note Recognition Ear Training should be worked on after Ear Training One Note Complete. When you are getting 80% correct answers on the one note method you should move on the the Key Note Recognition Ear Training Exercises. You should also start the Ear Training One Note Extreme because you are going to need great speed in calculating what a note is in a key center when you move to Two Note Ear Training. Key Note Recognition improves quick recognition of key center changes but it a slightly different manner than Ear Training One Note Complete. After Ear Training One Note Complete you should also start working on Direct Application Ear Training which is applying one note ear training to real music. Remember, many of the courses in this ear training method are “exercises.” Those are important, but it is also important to apply your new ear training skills to “real music. This is what the “Direct Application” courses do so don’t negelict them, they are actually some of the most fun you will have with ear training! Key Note Recognition ear training exercises also develop a student’s ability to hear more complicated types of key centers. 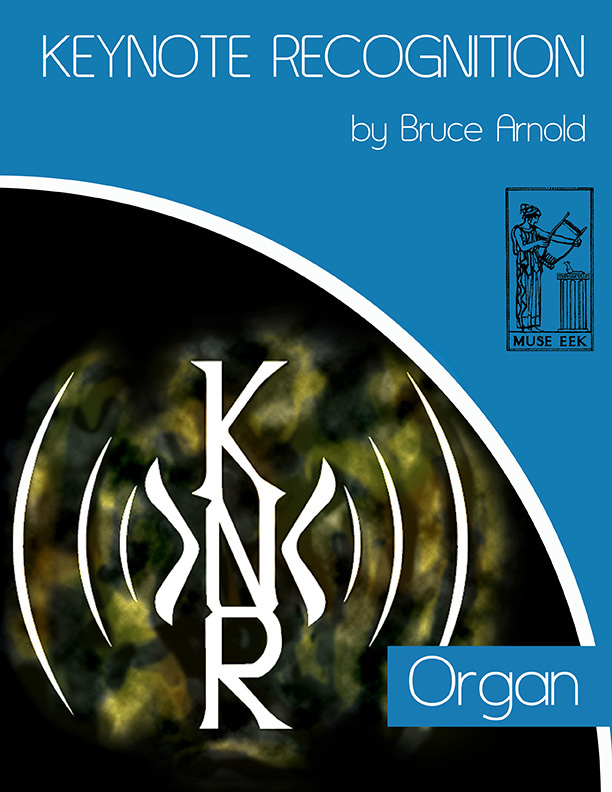 In turn students are able to use this contextual based ear training in real music situations. These Key Note Recognition ear training exercises target the comprehension of key centers that include 7th chords and finally tensions added to the tonic chord. For most musicians this is a challenge to distinguish these more complicated type of key centers. Through concentrated effort these courses will enhance your ability to hear many of the more common types of key centers that are found in Blues, Jazz, Prog Rock and other progressive forms of music. A Whole new series of books for Key Note Recognition! We are making a whole new series of books for Key Note Recognition using different instruments and ensembles. These new Key Note Recognition Courses will be a great expansion to our ear training method. By using a multitude of instruments and ensemble combinations you greatly increase the effectiveness of your ear training skills and the ability to use ear training in a real musical situation. What’s new in this expanded multi-level Key Note Recognition Series? 1. The type of instrument used and the octave in which the sound is played. 2. The progression and/or sound used to create the key center. 3. The tempo, or duration at which the example is heard. Each of these four courses gets progressively harder because the “one chord” is expanded into a 7th chord or tensions are added to the chord. Many times student have difficulty comprehending the key once these additions are added. First Level Course for Key Note Recognition Ear Training Instrumental Series!! 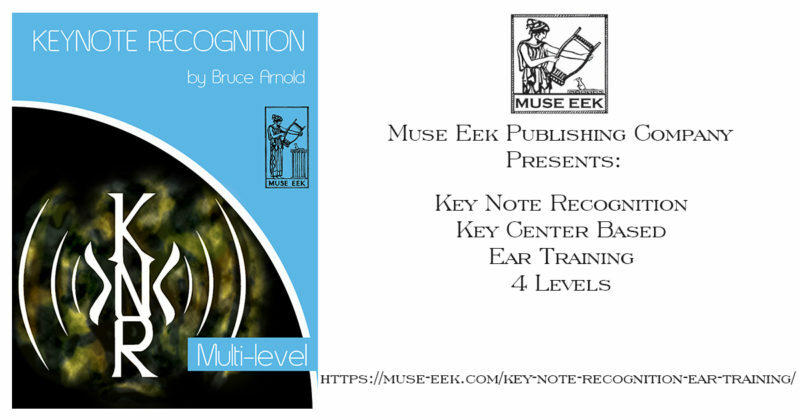 Second Level in the Key Note Recognition Ear Training Instrumental Series!! Third Level Course for Key Note Recognition Ear Training Instrumental Series!! 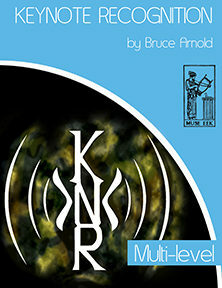 Fourth Level for the Key Note Recognition Ear Training Instrumental Series!! These four courses develop an important bridge between the “One Note” ear training and the Two Note Ear Training Exercises. It is very common that students have a hard time transitioning from ear training exercises to actually using their ear training ability with real music. These courses help a student hear more complicated types of keys center which are so commonly found in contemporary music. Don’t overlook this crucial step in your ear training development. If you are new to this type of contextual based ear training it is recommended that you check out the website Practice Ear Training, Our Blog and the Muse Eek FAQs found on this website. 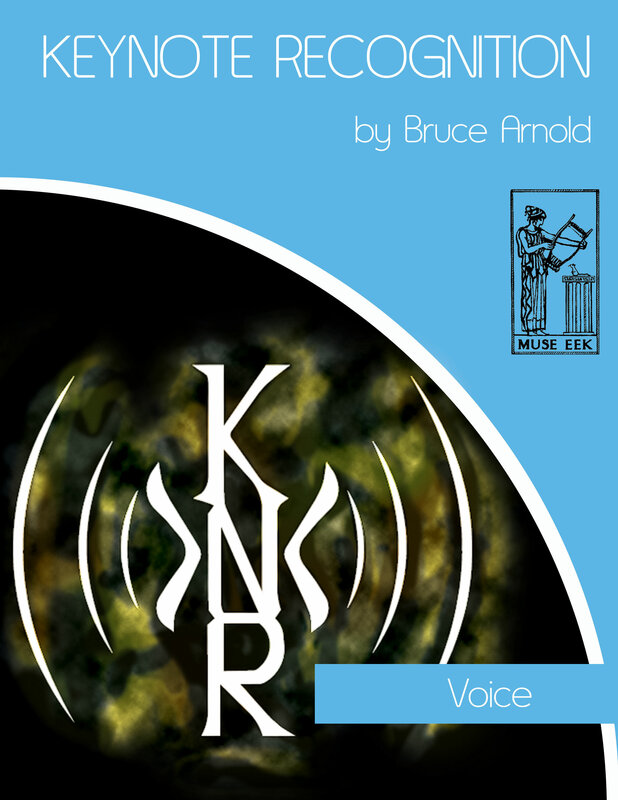 This entry was posted in Ear Training and tagged Key Note Key Note Recognition Ear Training by Bruce Arnold. Bookmark the permalink.